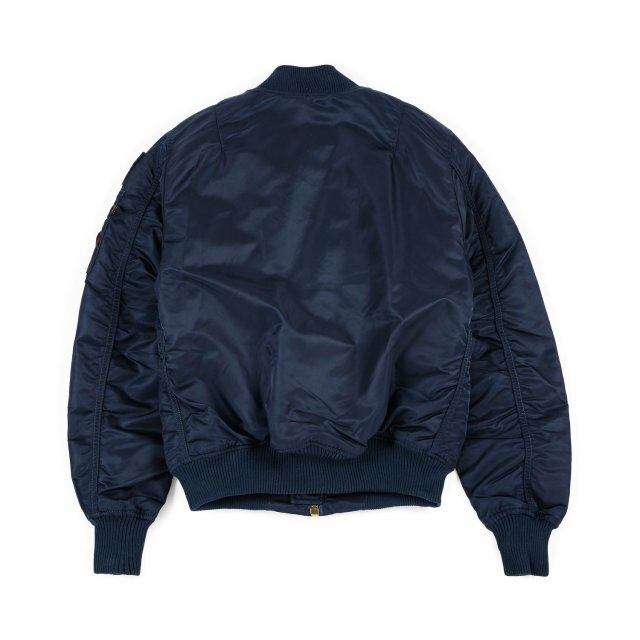 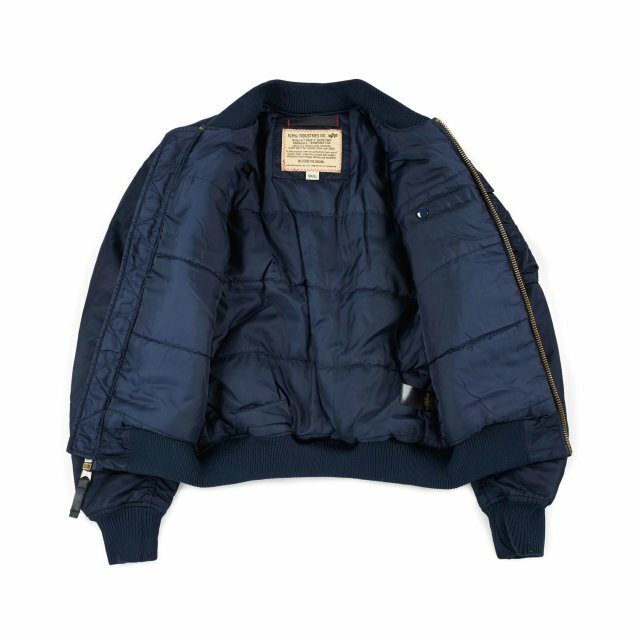 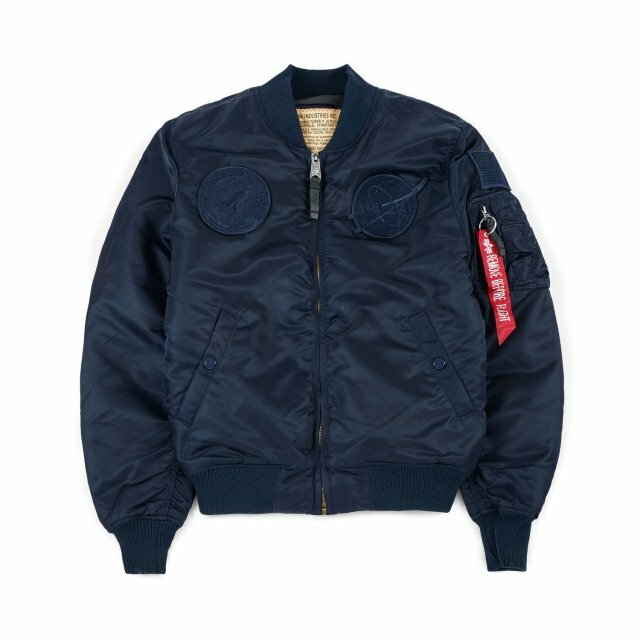 The classic flight jacket: the Alpha Industries MA-1 was the original jacket for the US Army and Navy in the mid fifties; it's the first military garment to be industrially produced for civilian population in 1970. 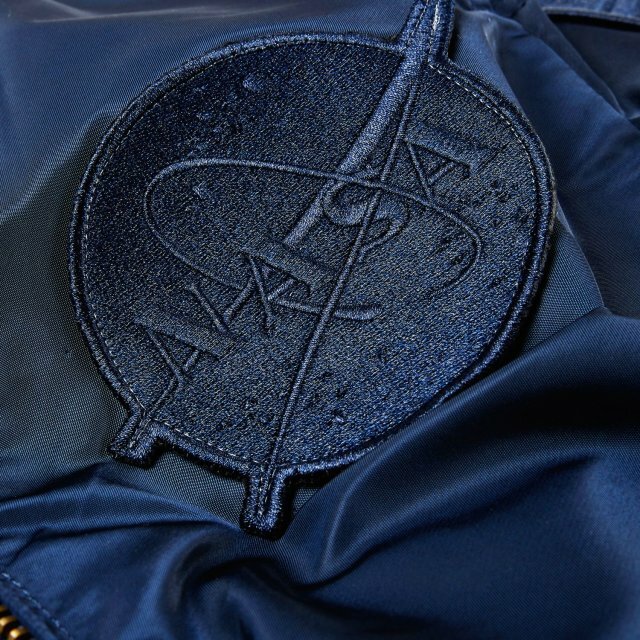 This version is the special NASA edition: wool collar, thick zippered closure, two front pockets with button closure, zippered pocket on left sleeve and elastic waist and wristbands. 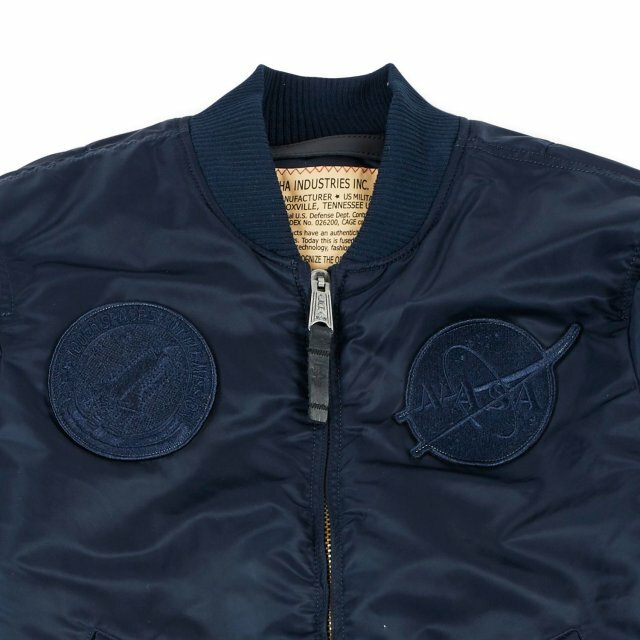 Patches sewed at chest. 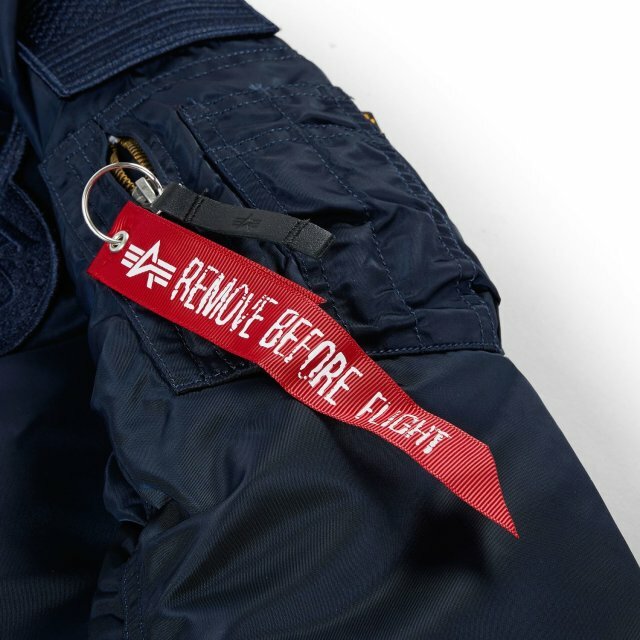 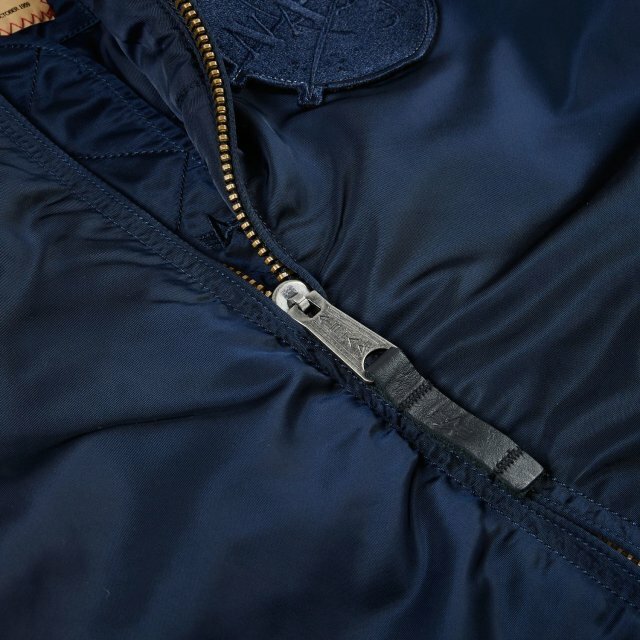 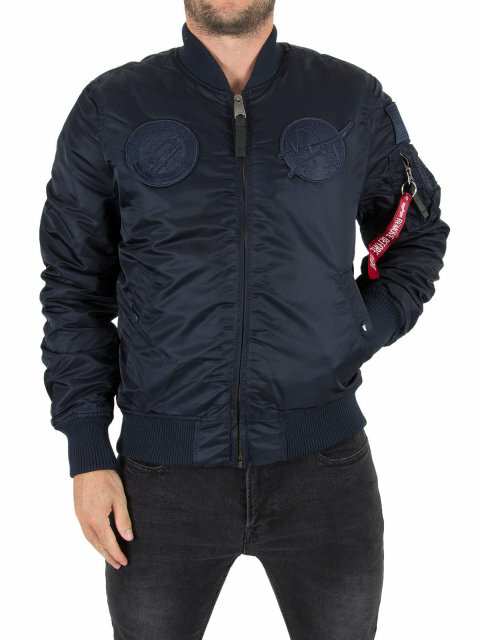 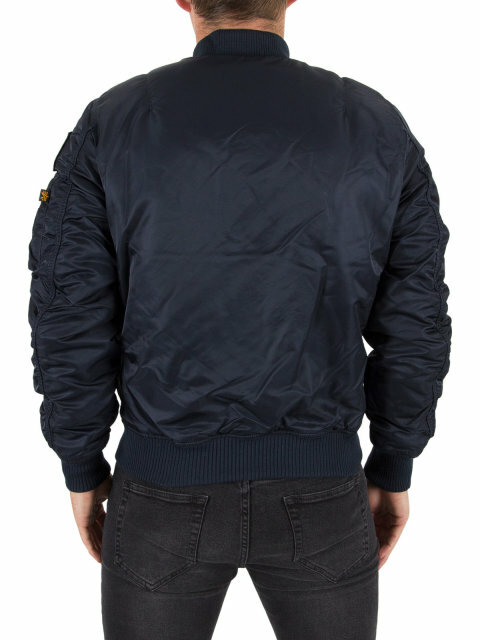 Tipical flight jacket wearability: it fits short, our advice is to purchase a larger size than your usual.